CONTACT US FOR CLOSEOUT PRICING. 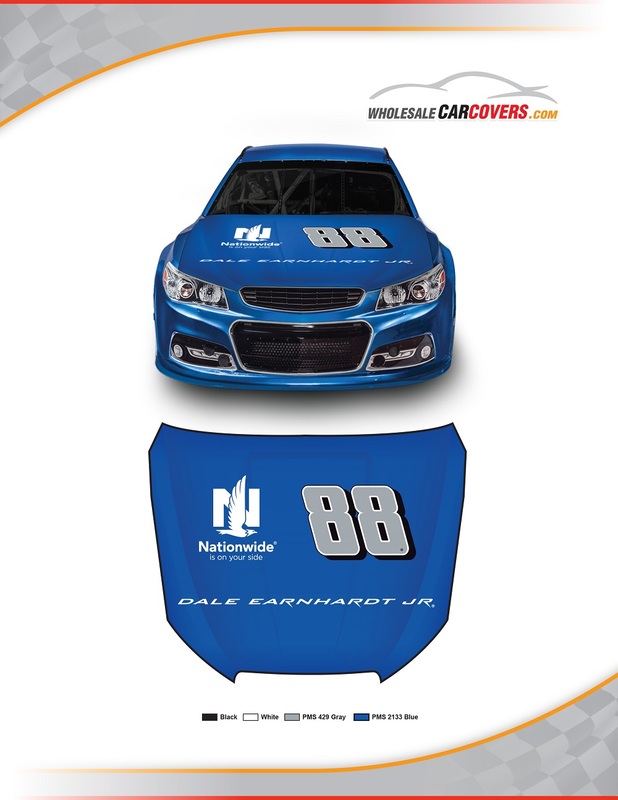 NASCAR Hood Covers featuring the top drivers from Hendrick Motorsports. Currently avaiable for #88 Dale Earnhardt Jr., #48 Jimmie Johnson, #5 Kasey Kahne and the new #24 car Chase Elliott. This cover includes the drivers name, number and sponsors logo. It is fully elasticized for a custom fit on most hoods. Customized for cars, trucks and SUVs with hoods up to 47" x 57". Easy to use and installs in seconds by just one person. 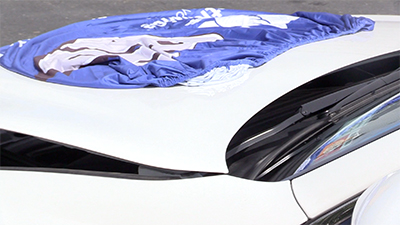 Machine washable, great for tailgating and is safe to drive with at low speeds. Includes one year warranty against manufacturing defects. Suggested retail price: $49.99.